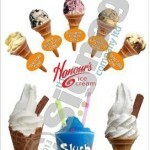 Honours Ice Cream of London offering vanilla 99 flake soft ice creams and an assortment of sorbets. 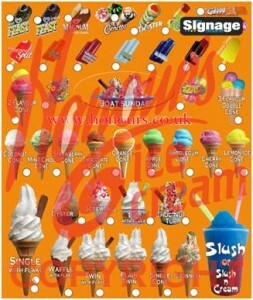 Including lemon sorbet, orange sorbet, apple sorbet, cherry sorbet, bubble gum sorbet and strawberry sorbet. Alternatively there are scooped ice creams including mint choc chip, chocolate and coconut ice cream. We also offer a variety of branded products such as Magnum, Twister, Chocolate Feast, Mint Feast, Nobbly Bobbly, Calippo Orange, Ribena Blackcurrant, Strawberry Split, Zapp and banana cream. Additionally there is a selection of refreshing fruit lollies for those hot summer days. Our fruit flavoured lollies are cherry brandy, orange, lemon, cola and bubble gum flavour. 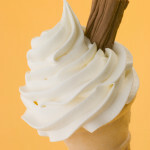 99 flake soft ice cream is one of the UK’s favourites. 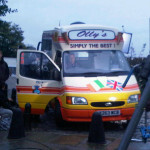 Especially when it comes to impulse buying from an ice cream van. Honours ice cream’s menu includes vanilla 99 flakes, a selection of twin cones to screwballs, tubs, oysters, sugar cones all ad up to a delicious selection of 99 flake soft ice cream favourites. Other traditionally popular ice creams which are made with 99 flake soft ice cream are Chocolate Sundae’s, Screwball, Popeye 99, Hedge Hog, Boat Sundae and 99 Knickerbocker Glories. We sell a wide range of products to all type of events and shows throughout London and the south east and the 99 flake soft ice cream is always one of our customers favourites! Occasionally we are contacted by event organisers or promotional agencies that are looking to provide a large number of ice creams in a short period. This is when it is much quicker to serve all of the guests the same products to speed service to a maximum, there may be a few other choices but on whole the majority of customer’s will choose a 99 flake soft ice cream over any other options. 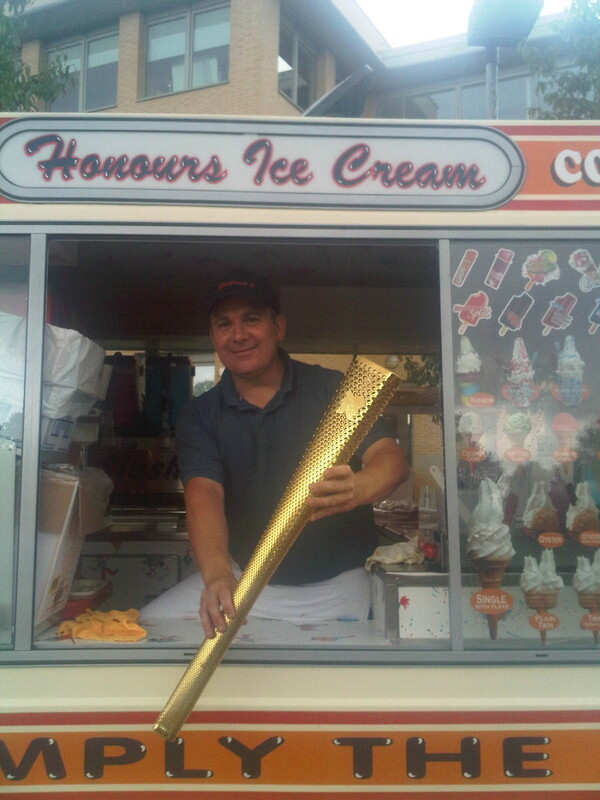 Contact Honours Ice Cream to have one of our soft ice cream vans at your event, promotion or special occasion ! 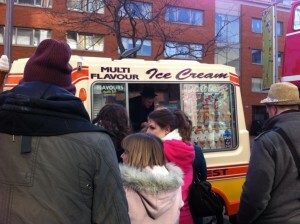 This entry was posted in News and tagged soft ice cream vans on January 23, 2013 by Onur. This entry was posted in Events on December 24, 2012 by Onur. 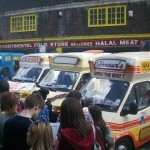 We are available for all type of events and shows that require an ice cream van hire company to provide complimentary ice cream package for large numbers. We can discuss your exact requirements and put together a package that suits your needs! 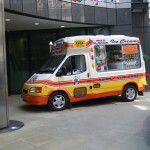 There are an increasing number of enquiries that look to host their private event for their staff, guests or even targeted audience to provide a complimentary ice cream van service. We have years of experience in the hospitality industry going back to the 1980’s when we were in the restaurant and catering industry. I was one of the youngest if not the youngest licensees in London at the time, fully responsible for a 250 seater A’la’ Carte restaurant and cabaret late night restaurant plus a 130 seater Function Hall. This experience has proved very valuable as we have since worked with many other companies that are in the hospitality industry that demand courtesy and customer care. We recently catered for approximately 600 staff at their annual summer party, they were based in West London. 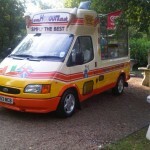 We provided two immaculate ice cream vans both with the same matching coloured livery, we gave the organisers complimentary ticket to issue to their staff and they happily chose their ice creams and were all served in a two hour period, this was with a choice of up to 12 flavoured ice creams, sorbets, fully organic ingredient ice creams and soft whip vanilla 99’s. We have recently catered for many high profile and blue chip companies where we have provided a complimentary ice cream service to their staff or clients. 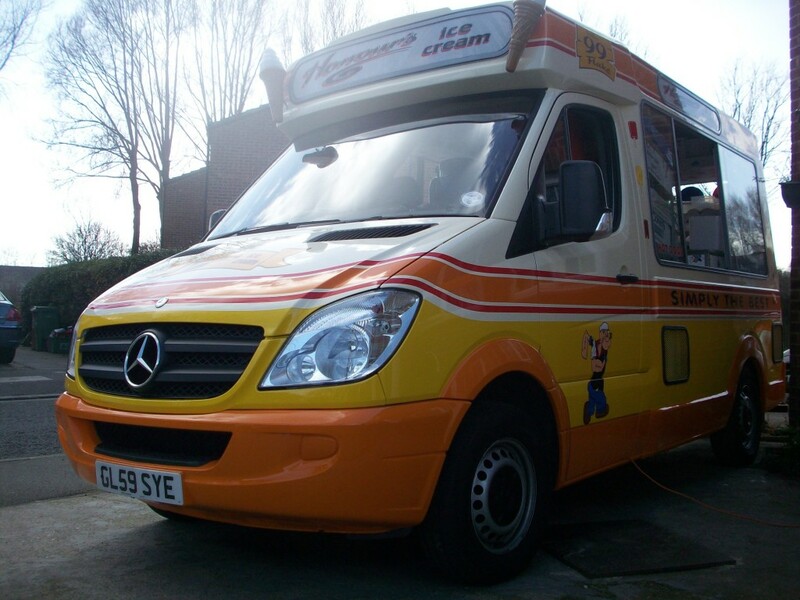 Hire an ice cream van for your forthcoming event or special occasion and we will do our utmost to help make your special day a successful and memorable one! 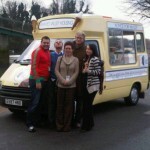 We have recently serviced and prepared our ice cream vans ready for the New Year and 2013 ice cream season. 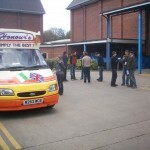 Our ice cream vans are now ready to cater for our customer’s requests and bookings. 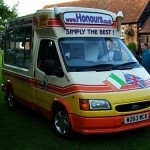 Honours Ice Cream van hire company available for all types of celebrations, wedding parties, corporate ice cream van hire, company events and bookings. This entry was posted in Promotions on July 14, 2012 by Onur. This entry was posted in General on March 9, 2012 by Onur. This entry was posted in Events on February 17, 2012 by Onur. This entry was posted in General on January 29, 2012 by Onur. Discuss your requirements and put together a package suit you. Flexibility to fulfil your needs. Small deposit will secure your booking. Competitive quote with quality products. Friendly polite and professional Service. Reliability and early arrival to events. Our aim | Quality and customer satisfaction. All bookings must be confirmed prior to each event. Public Liability Insurance | Hygiene certificates | Risk assessment | CRB checked. Registered with Local Borough Council. 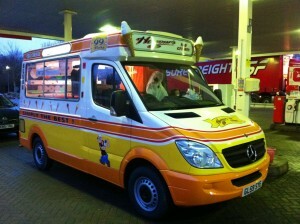 Ice cream vans professionally built by Whitby Morrison in top condition. Even in today’s economic climate “We let our customers decide”. This entry was posted in News on December 31, 2011 by Onur. 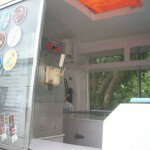 This entry was posted in News and tagged ice cream truck spill USA, ice cream truck USA on December 26, 2011 by Onur. This entry was posted in News on October 12, 2011 by Onur. This entry was posted in News on March 3, 2011 by Onur.